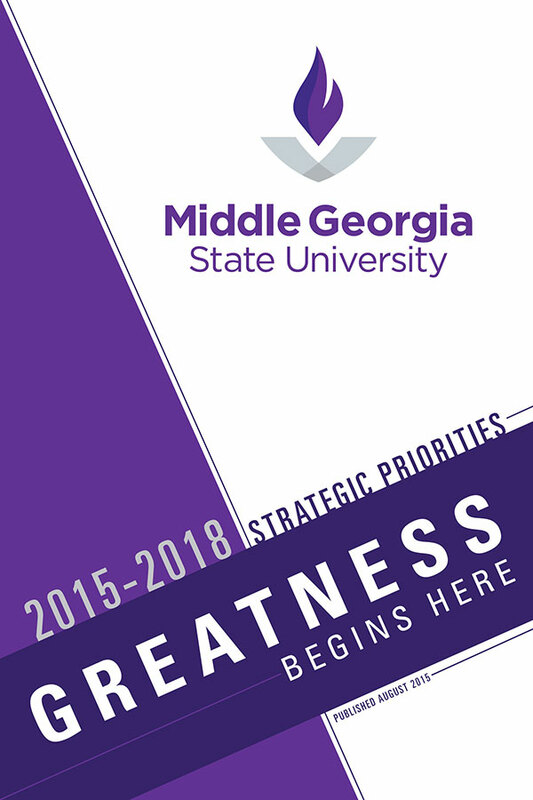 Student success, community outreach and technology are among the new strategic directions that have been adopted by Middle Georgia State, the state’s newest public university. Dr. Christopher Blake, Middle Georgia State’s president, revealed the strategic plan during his August 7 convocation speech to the university’s 800 faculty and staff members. The plan, which was under development for a year, contains 11 priorities that will be undertaken over the next three years, 2015-2018, including detailed initiatives for the upcoming year. It is the university’s first strategic plan, which establishes goals and priorities that individual offices will have a part in seeking to achieve. Offices will establish their own goals, which are to be in alignment with the university’s overall strategic direction. Quality and distinctiveness of student success. A total of 17 first-year initiatives were established under this goal, including the enhancement of support services for veterans and adults, advancing international educational experiences and building a continuing education unit for advancing the credentials for working professionals. Academic reputation, flagship programs and community outreach. This priority has 11 first-year initiatives, including the implementation of a “Experiential Learning@MGA” initiative for students to get on-the-job experience, establish community advisory boards, development of an alumni plan that fosters regular engagement, and to prepare proposals for advancing athletic programming in Macon. Technology for a 21st century university. There are six first-year initiatives in this priority, including creating an infrastructure that supports multiple pathways of instruction across five campuses. Fiscal sustainability. The seven first-year initiatives in this priority include creation of an infrastructure to pursue grants and contracts, develop infrastructures to enhance distinctions of each campus, and to expand conference center outreach and services. Middle Georgia State community of faculty and staff. The final six first-year initiatives include a faculty and staff climate study, implementation of the university staff council and development of a leadership institute for selected faculty and staff. The plan was developed by the president, members of his 12-person administrative cabinet and a committee – including faculty, staff and regional leaders in industry and education - assembled by the university provost, Dr. Marti Venn.